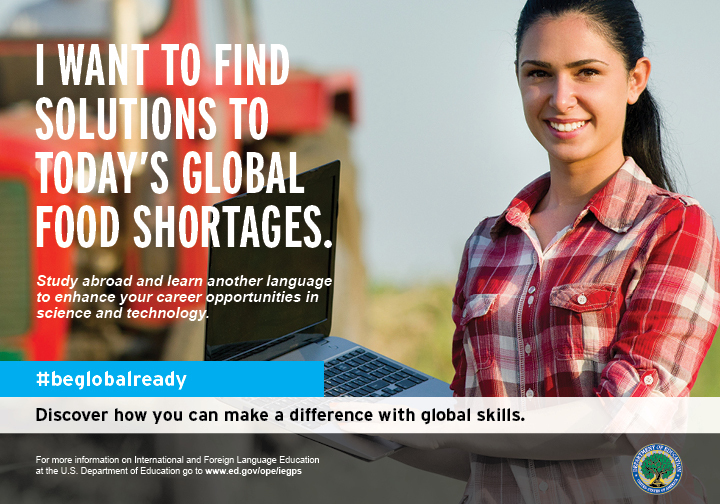 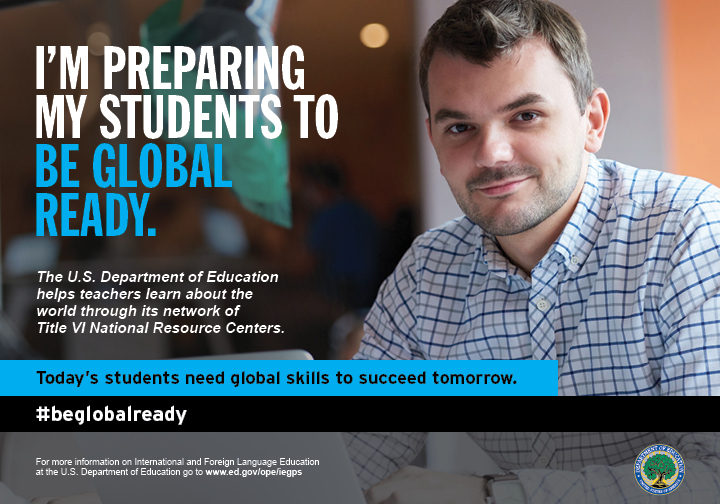 The International and Foreign Language Education (IFLE) office of the U.S. Department of Education is proud to debut a new series of images and messages to encourage U.S. students, teachers, and citizens to be "global ready." 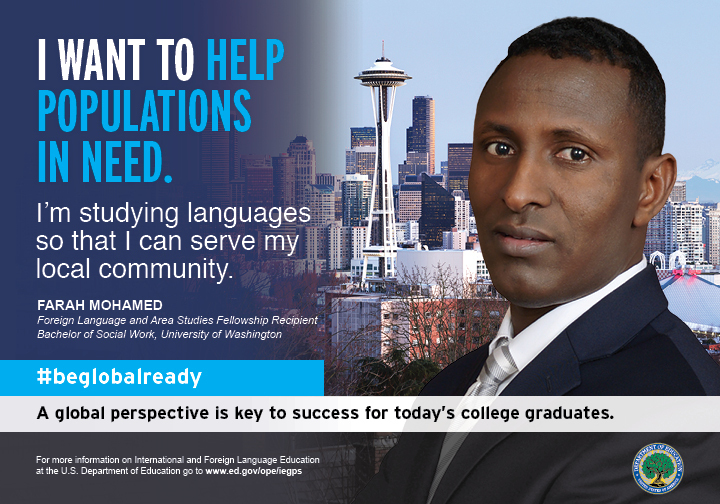 Please click below to download the series of images for use in your schools, classrooms, and communities. 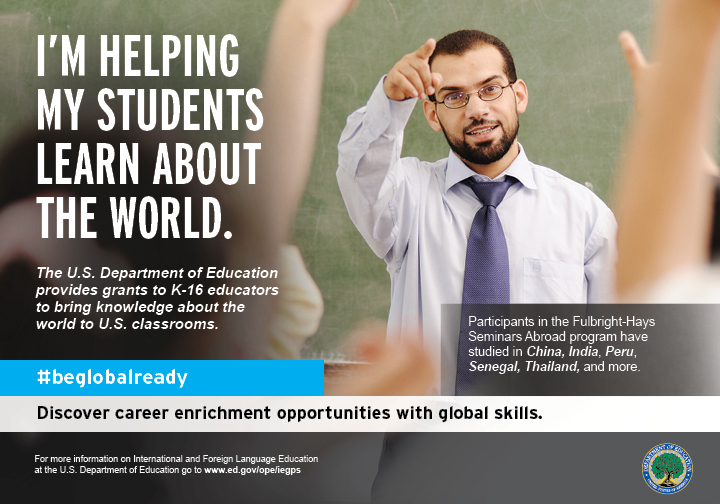 We hope these images and messages will help spread the word about the value of international and foreign language education for all! 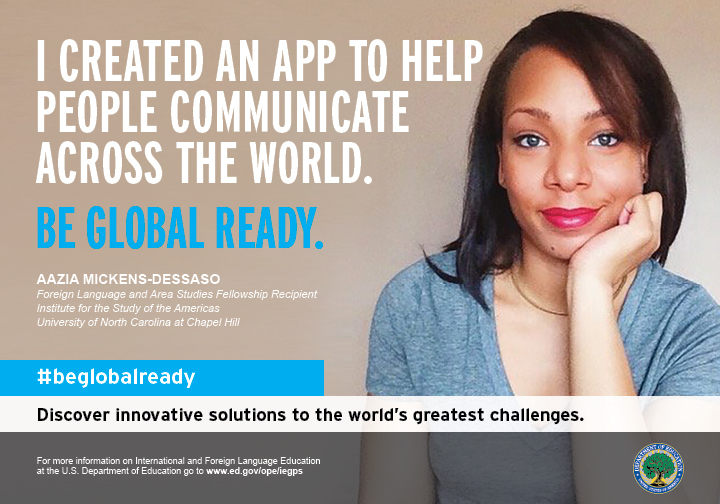 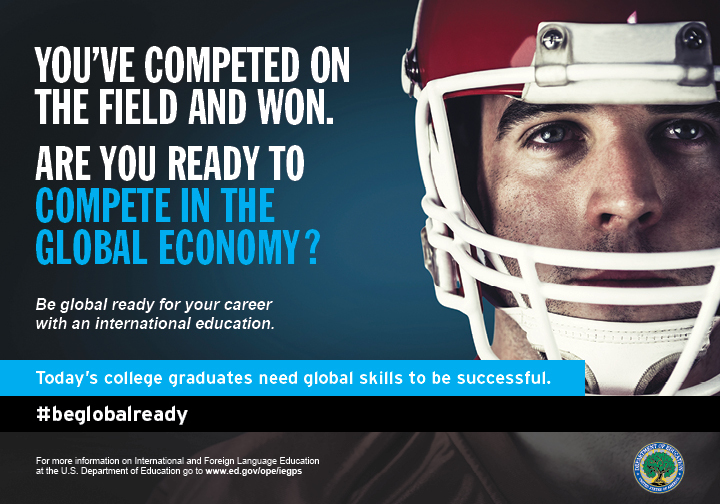 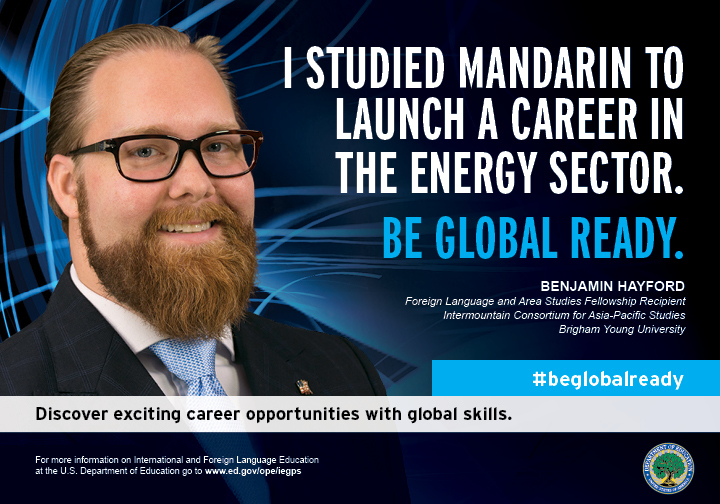 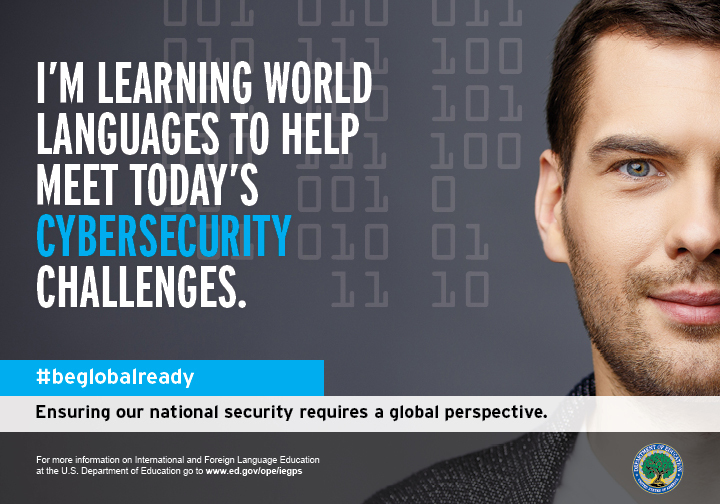 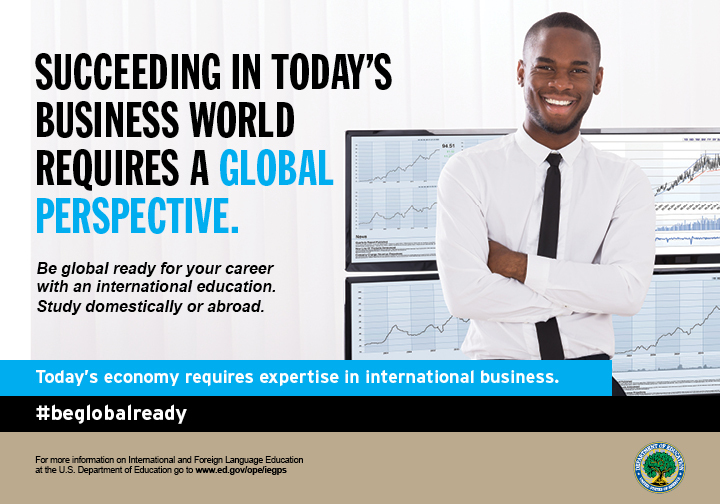 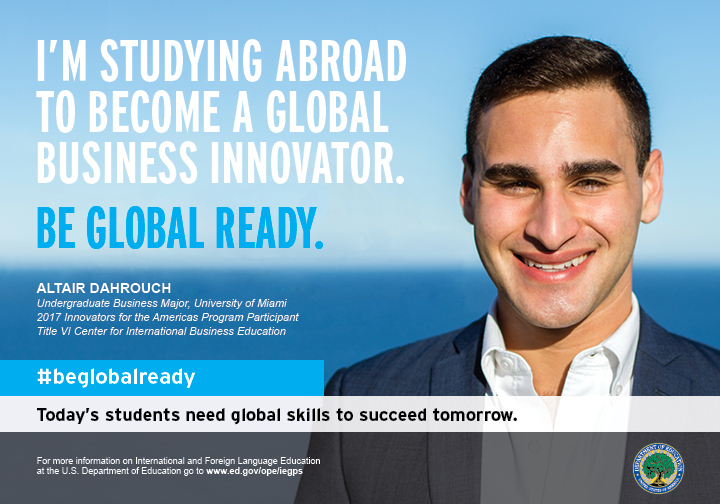 We encourage you to share your own stories with the hashtag #BeGlobalReady on social media. 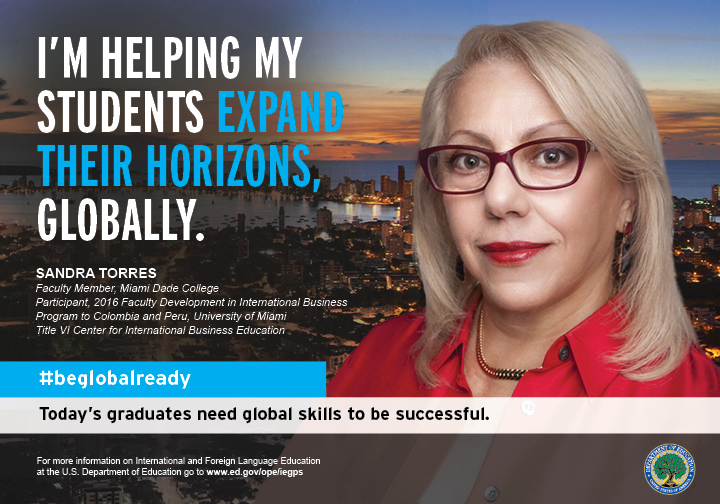 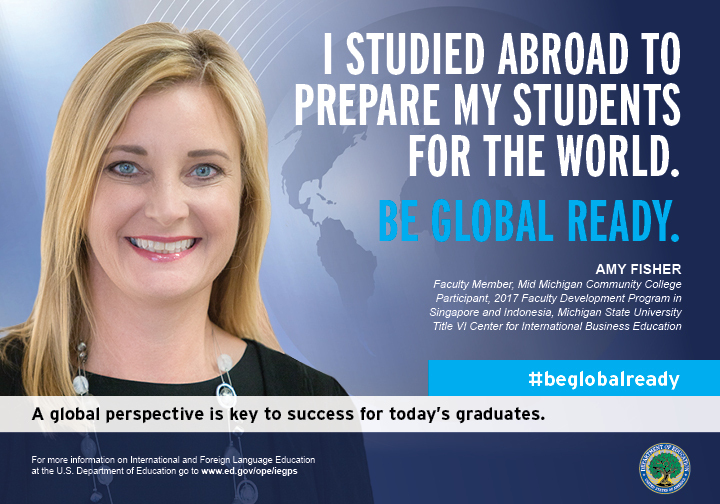 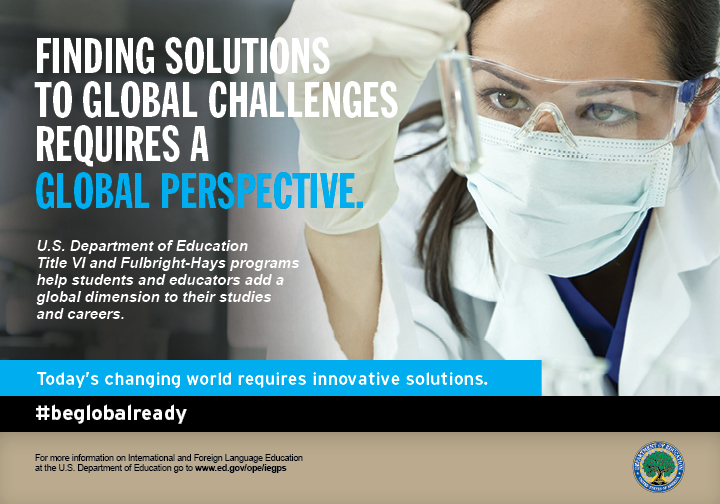 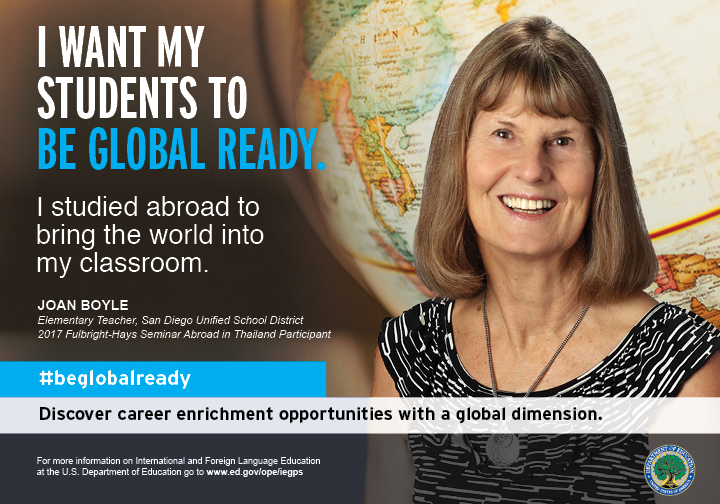 To learn more about how Title VI and Fulbright-Hays grant and fellowship programs help U.S. students, teachers, and communities to #BeGlobalReady, please visit our home page.